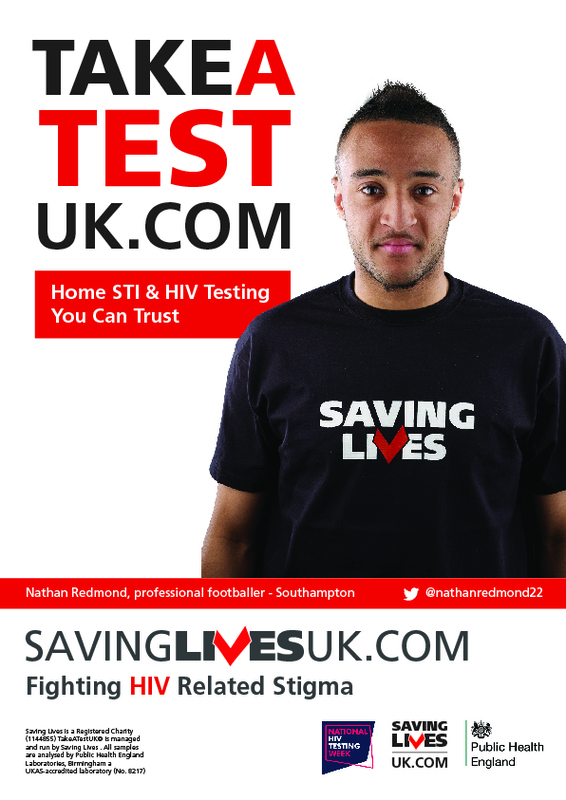 Two Premier League superstars are supporting the national charity Saving Lives to beat stigma during this year’s National HIV Testing Week. Hull Tigers captain Curtis Davies and Southampton striker Nathan Redmond have been ambassadors for the charity since its launch five years ago. This year they are sending a simple message: stigma kills, and testing saves lives. One in five of those living with HIV in the UK do not know they are infected. Late diagnosis of HIV is associated with poorer health outcomes. 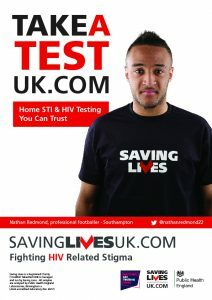 Saving Lives are making available free home HIV testing kits via their website www.takeatestuk.com. The discreet kits can be used to take a sample at home, and sent back off to Public Health England for analysis. Results are received in days. 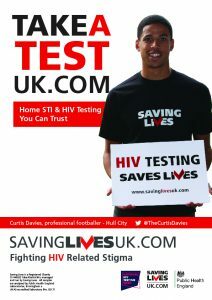 People who wish to get their free home HIV testing kit can log on to www.takeatestuk.com and enter the code SAVE16 when ordering.